Made with good-for-you ingredients like real meats & vitamin-rich veggies, Beneful dog food brings your best buddy tons of tastes & textures to nourish both inside & out. It’s that simple: 100% complete and balanced. 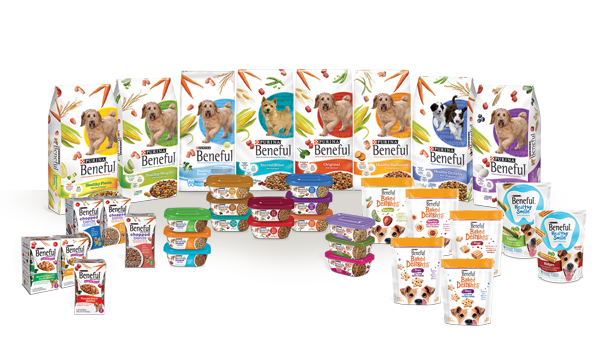 Learn about the quality and safety of Beneful dog food. More questions? Find answers here. Beneful wet dog food is made with wholesome ingredients you can see and delicious flavors your buddy is sure to love. Available in twenty wholesome varieties to help keep him happy and healthy. Beneful brand Baked Delights dog snacks are lovingly crafted and then oven-baked. 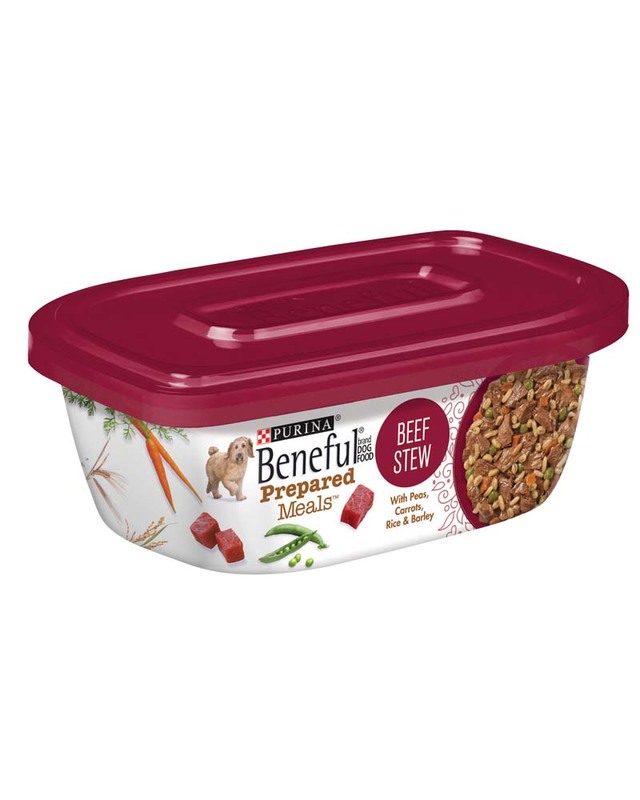 Your dog will love discovering the delightful varieties of tastes and textures. High-energy dogs need high-quality, protein-rich food. 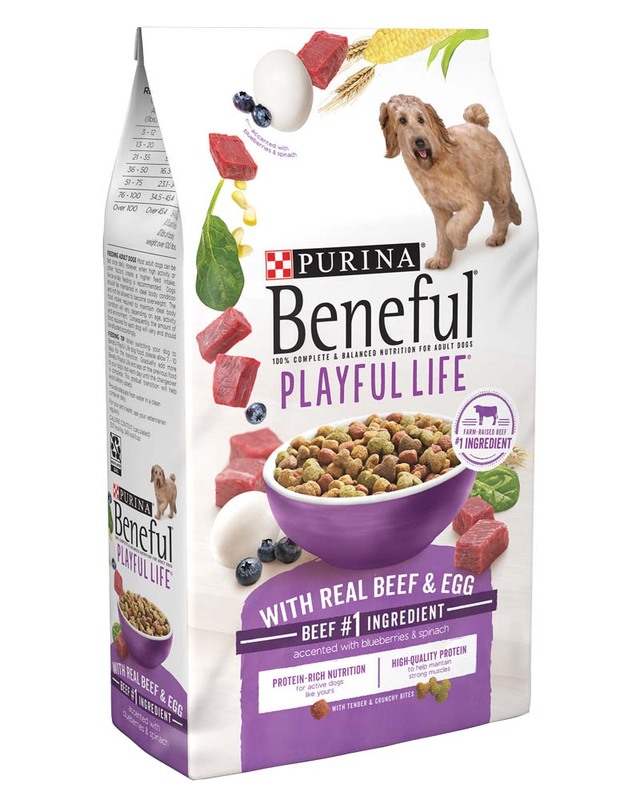 That's why Purina Beneful Playful Life With Real Beef & Egg adult dry dog food starts with real farm-raised beef as its number one ingredient and has no added sugar. The rich, meaty base also features real eggs, whole grains and accents of real blueberries and spinach, creating a nutrient-rich dish that keeps up with his body's fuel needs. This perfectly blended recipe offers 100% complete and balanced nutrition for adult dogs alongside a great taste, letting both you and your dog feel good. He'll dig into the unique mix of tender and crunchy kibble without even realizing it's good for him. Real ingredients make for real delicious taste and real healthy results. Fill his bowl every day with Purina Beneful Playful Life With Real Beef & Egg dry dog food, and give him the nutrients he needs to keep up with his active life. Beneful brand Dog Food Prepared Meals helps keep your dog healthy and happy. Includes real wholesome ingredients that you can see, in a resealable container.